Our company “Himalaya Paper Bags” is carving a respectful niche for itself by constantly performing ethical trade practices. Our organization is a steadfast entity which is headquartered at Cuddalore, Tamil Nadu. 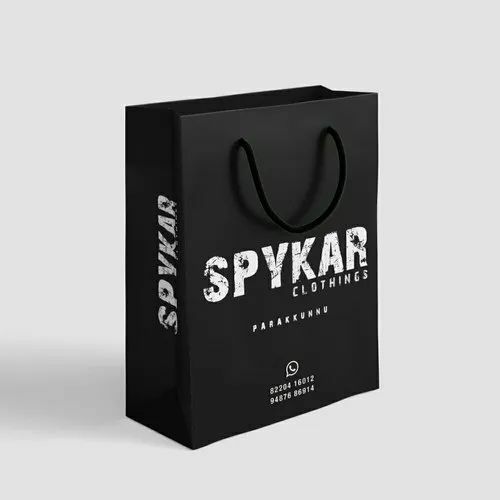 Since 2011, we are considering the interest of the customers as our chief apprehension and we are involved in manufacturing an optimum quality assortment of Paper Bag, Carry Bag, Gift Bag, Black Paper Shopping Bag and Paper Grocery Bag. We are concentrating to become more efficient by implementing change in ourselves with the dynamic requirements of our clients. Our experts also assure best quality at feasible rates by the regular assistance of our skilled panel of experts.